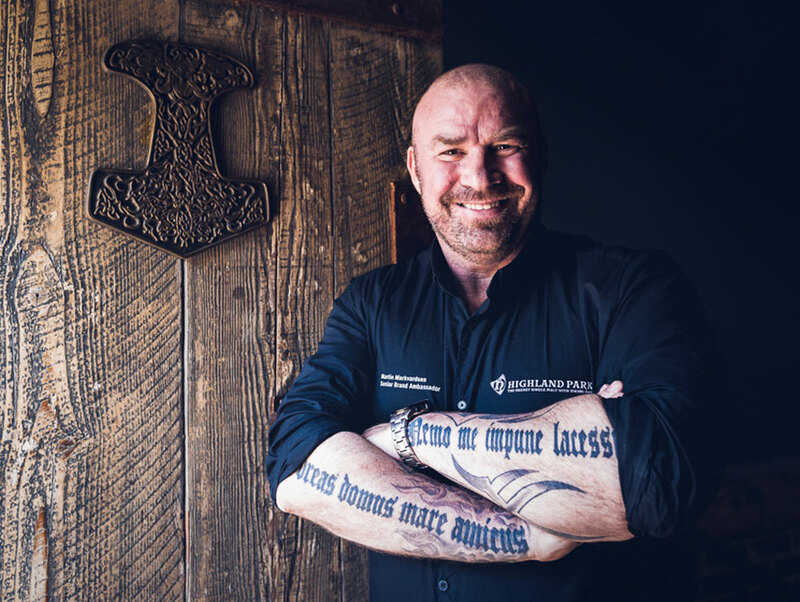 We invited Highland Park’s Senior Brand Ambassador Martin “The Viking” Markvardsen out to Australia to showcase the Highland Park range, the amazing new packaging and share his intimate knowledge on Highland Park whisky. The Viking-inspired whisky bar in Sydney, Mjolner was the ultimate venue for an incredible night of whisky tasting, stories and food. 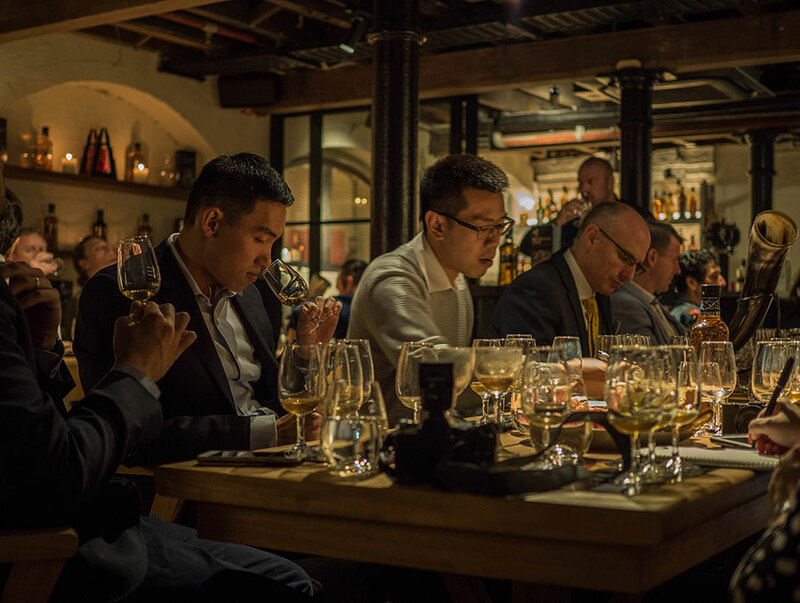 The setting and cuisine were the perfect environment to explore a selection of Highland Park’s unique Orkney whiskies. What’s so special about Highland Park Whisky? There are essentially 3 things that make it so unique: Location, People and the Whisky. Highland Park is Scotland’s most northerly distillery and is on Orkney – a group of islands that were invaded and settled by Norway in 875. The archipelago was returned to Scotland in 1472 but much of it is said to identify more with Scandinavian culture than Scotland’s. This unique location is different than the rest of the Scottish distilleries and the climate on Orkney makes Highland Park mature unusually slowly. The people are more Nordic than Scottish and 1 of 3 people can trace their bloodline back to the Vikings. Highland Park is the only distillery using Orkney peat, made up of only heather (no wood), it imparts a more honey/floral element rather than the iodine characteristics of Islay peat (for example). It is one of few to use 100% ex-Sherry casks for their core range, and one of only two distilleries to mature whisky on Orkney, where the climate makes all the difference. 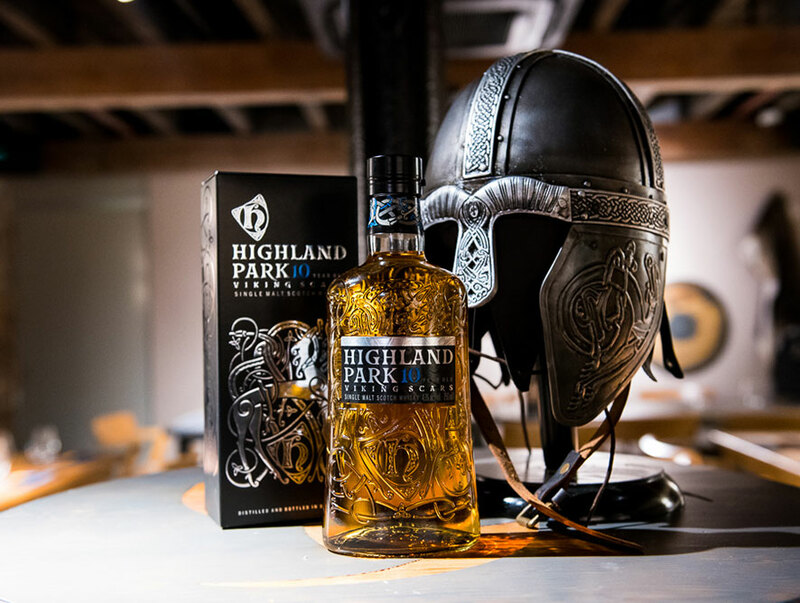 Highland Park’s bottled expressions bear a decidedly Viking theme, proudly displaying their Viking ancestry with names like Magnus, Valkyrie, Svein, Einar, Harald, Sigurd, Ragnvald, and Thorfinn. Highland Park uses no caramel in their bottlings, so the colour is all natural. Due to Orkney’s climate whisky takes longer to mature and because of lower average temperatures, results in lower angel’s share, typically at 0.5-1.0% per year. The 10 Year Old felt a complete and perfect whisky in its own right, the ideal entry point into the Highland Park range. The 12 Year Old showcased the influence of European oak with more spice and a richer mouthfeel. The 18 Year Old hits the balance of richness and luxury, with silky mouthfeel and characteristic Highland Park flavours of smoke, honey, heather, and spice. There are subtle differences between the different whiskies. From the 10yo matured in American oak sherry with the beautiful vanilla and honey notes, to the bombastic 25yo in European oak ex-sherry, we have a huge range of flavours. The one thing you will always find in a bottle of Highland Park is the DNA of the distillery, the unique Orkney peat influence imparting heathery honey peat smoke. Besides our core range we have Valkyrie that come with a bit more peat and spiciness. The first in a new trilogy of limited editions known as the Viking Legend Series, Valkyrie features a more heavily peated malt, peated to 45ppm. Bottled at 45.9% strength, it is put together from four different cask types: refill casks, American oak ex-bourbon casks, American oak ex-sherry casks, and European oak ex-sherry casks. It’s sweet, peaty, with jam and fruit notes and with a wonderful velvety mouthfeel. Valkyrie will be available in Australia next year. In addition to the core range and preview of Valkyrie, Martin was also kind enough to bring along some extra-special bottles for us to try in the form of a two-part series of limited releases that never managed to make it to Australia is now becoming difficult to find globally, the Fire and Ice Editions. Fire Edition is the first Highland Park matured 100% in port wine casks, an experiment with initially concerning development (after a couple of years the whisky was a bright pink) that came good (very good!) after 15 years maturation. The end result is a beautifully balanced, rounded and integrated whisky with bright notes of strawberries and red fruits. Ice Edition is a step up on the palate, aided by the increased ABV of 53.9%. The 17-year maturation in first fill American oak ex-bourbon casks is nothing unusual but the addition of virgin oak cask ends gives the whisky a sweet flavour profile showcasing vanilla, coconut, and pineapple and allowing the influence of the spirit to shine through. A slightly drier feel than its predecessor, Fire. This has been a fantastic tasting event with delicious food perfectly matching the whiskies on offer. Martin is a wealth of Highland Park knowledge, all wrapped in charismatic stories from decades in the whisky industry. An informative presenter who expertly led the room through the tasting with the entire room hanging on his every word. We’d like Australian Bartenders to know that our 10yo, 12yo and Valkyrie are amazing for cocktails, they really give a huge flavour profile to the different cocktails and lift them to new dimensions.